Photo: IRRI Photos. Creative Commons BY-NC-SA 2.0 (cropped). The Indian government is aiming to swap out 26 million fossil-fuel-powered groundwater pumps for solar-powered ones, Bloomberg reports. 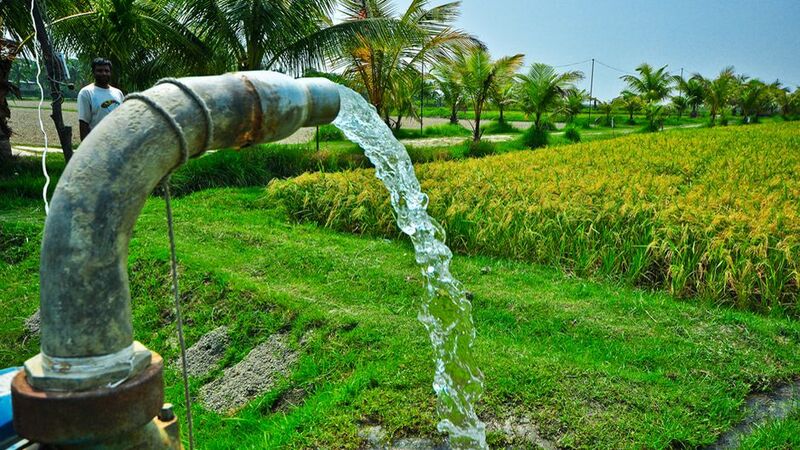 The pumps are used by farmers throughout the country to pull in water for irrigation, and currently rely on diesel generators or India’s fossil-fuel-reliant electrical grid for power. Pashupathy Gopalan, the regional head of SunEdison, told Bloomberg that 8 million diesel pumps already in use could be replaced right now. And India’s Ministry of New and Renewable Energy estimates another 700,000 diesel pumps that could be replaced are bought in India every year.